In other categories, Adele—who at this point probably doesn’t even have room for an iHeartRadio trophy and did not show up for this event—picked up Female Artist Of The Year and Pop Album Of The Year. Meanwhile, Justin Bieber, also missing in action, was named Male Artist Of The Year. His tune “Love Yourself” got Best Lyrics in a “socially voted” race. 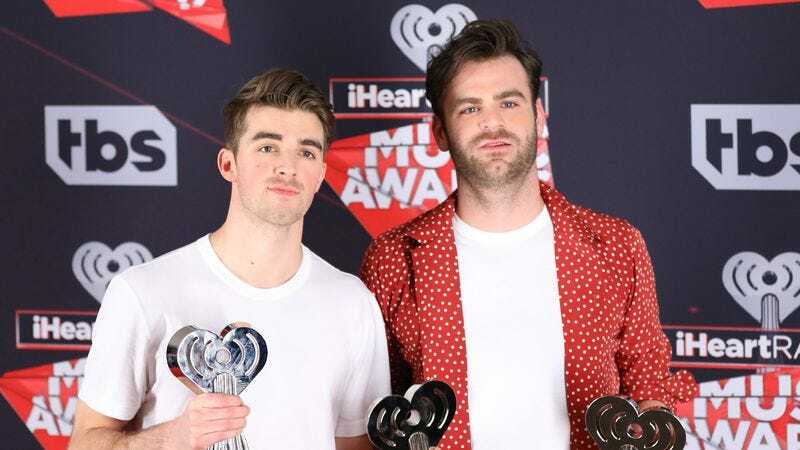 And, yes, the event was something of a coronation for DJ dudes The Chainsmokers, who received the second most nominations of any artist at this event. They were deemed the Best New Artist and Best New Pop Artist, and their ubiquitous song “Closer” picked up Dance Song Of The Year. You can see the full list of winners over at Billboard.